If your buddy has his birthday this or next month you should start preparing for his birthday party and more importantly for his birthday treat. 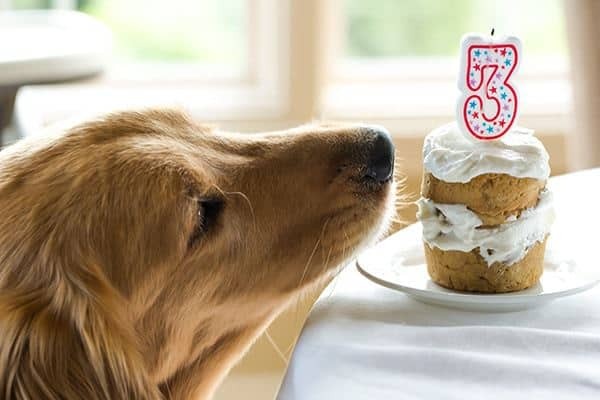 So if you are confused about what your dog will love on his birthday, then you should definitely read this article. In this blog I am listing 10 birthday party treats ideas that your dog will love to eat. Our dogs are blessed for short time with us so worths to celebrate their birthday. 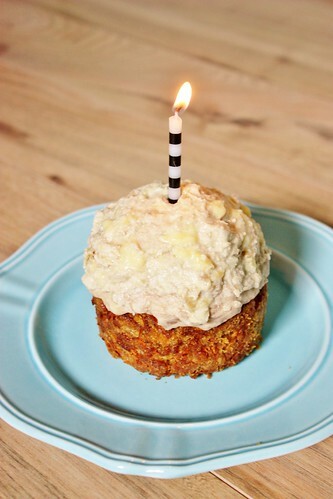 The recipe of cake is based on dense carrots with banana cream cheese icing for the birthday boy. It smells great while cooking. The recipe also easy to cook and ingredients used in it are common. 4. Pour this into the rounded pan and bake for 25 to 30 min. 5. Beat ingredients together and use to frost cake. These colorful stews are the thing which you need in the case to impress your buddy. This stew takes 15 min for prep and 5 to 8 hours in slow cooking. Let's start with the ingredients. 1. Put all ingredients in the slow cooker as listed covering the chicken with vegetables. 2. Cook 8 hours on low or 5 hours on high. 3. Remove cooker from fire and shred chicken and stir into rice and veggies until it mixes well. 4. Store: in air-tight containers and put in the fridge. It will not go anywhere for 3 days. 2. Grease 2, 7-ounce ramekins and set aside. 3. In a bowl add coconut oil, honey, and eggs, stir the flour until it absorbs the mix. 4. Divided the batter and put the batter in both ramekins and bake until lightly brown or for 15 to 20 mins. 5. Cool the ramekins, and then remove them, fill the frost with plain yogurt and serve it. Pumpkin Cupcakes are those recipes which humans and dogs enjoy equally. Note: Honey can be dangerous for your puppy to add honey to the recipe only then if you are sure that your dog has a mature immune system. 2. Place mini cupcakes paper in mini tin muffins and set aside. 3. In bowl mix first 8 ingredients thoroughly. 4. Using disher place batter in muffin tin near the top of the paper. 5. Bake about 12 min or until toothpick comes clean when inserted into the center. 6. Cool the muffin on a wire rack before frosting. 7. For frosting beat cheese cream on medium-high or until fluffy. 8. Add remaining ingredients and Combine them. What else is better than to treat a dog with homemade cupcakes on his birthday. So, for your furry buddy, one more cupcake recipe is here. 1. Preheats the oven to 350° F.
2. Mix together flour, baking powder then add peanut butter, applesauce, honey, egg and vanilla and mix them well. At last, add shredded carrots to make mixture thick. 3. Fill cupcakes ⅔ of batter and bake for 15 to 20 mins. Let them cool and then serve to make sure to remove paper liner of Cupcakes. Another tasty Homemade Dog Treat with peanut butter frosting. 1. Preheat oven to 350° F. Coat 8 inch cake pan with non-stick spray and set aside. 2. In bowl mix banana, honey, egg, and water until they combine well. 3. Pour the batter into the prepared pan and sprinkle some carob chips on top. Using folk spread chips on batter make sure some part of chips should be visible on top. 4. Bake cake for 1 hour or use toothpick to check whether it is cooked or not. If not give it 15 more additional minutes to cook well. 5. After cooking left it in the pan to cool for 30 min. After 30 min put the cake out of the pan and cool properly. 6. Mix peanut butter and honey in a bowl and use spoon or spatula to spread frosting on the cake. 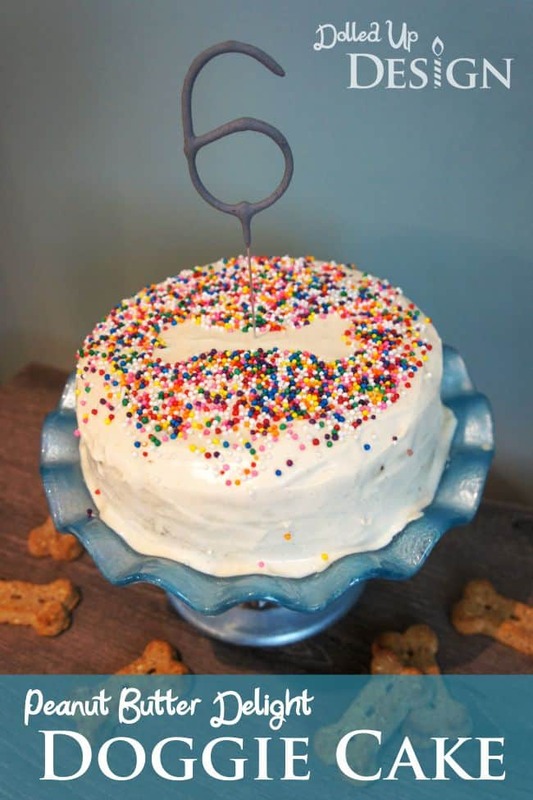 If your dog has allergy from grains then this homemade cake is for your dog. This peanut butter apple cake is grain free, gluten free and sugar-free. Overall, it's a healthy dog cake. 2. Mix all ingredients well to a batter. 3. Grease a ramekin and fill it with batter. 4. Bake for 20 min or until toothpick comes out clean. 5. Let the cake to cool in baking pan for couple mins. Put the cake on a rack to cool properly before serving. 6. Frost it with extra peanut butter if desired. This recipe is same as the 7th recipe but the difference is that it is not grain free. So, it's your choice that which homemade cake you wanna put in your dog's bowl on his birthday. 2. In bowl mix apple pieces, peanut butter, baking powder, flour. Then add water and mix. 3. Add batter to a light greased muffin tin use and shape you want. 5. Frost cake with extra apple slices or peanut butter if desired. 2. In bowl mix flour and baking soda. In another bowl cream the butter and mix egg and oil together. 3. Add shredded carrots to creamed mixture and stairwell, and add to the other bowl to make a thick batter. 4. Pour the batter into a greased ramekin and bake for 25 min. Wait before you put the cake on rack. Give it time to cool down. 5. To make banana frosting mix banana with flour and butter, stairwell until it forms a smooth paste. 6. Spread the frosting evenly on cake.